For a line of work that claims to be so liberal, it would seem that Hollywood still has a lot of catching up to do. 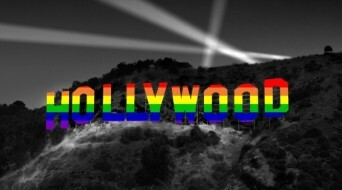 In a report published by the Screen Actors Guild—American Federation of Television and Radio Artists (SAG-AFTRA) and UCLA’s The Williams Institute, “Sexual Orientation & Gender Identity Diversity in Entertainment”—it was shown that gay actors in the land of golden glitz are still being discriminated against. SAG-AFTRA polled over 5,600 union members and their findings showed that almost half of the gay and lesbian respondents and 27 percent of bisexual respondents “strongly agreed” that the bigwigs of the film industry believe that LGBT performers aren’t as marketable as their straight contingents. Posted October 2nd, 2013 & filed under News.